Today on Soundwaves 10@10, the band who launched MTV, the songstress inspired by a Minnesota legend, the biggest solo album ever released, and the Grammy-winning chart-toppers who were the backing band. What connects all these acts? See if you can guess! 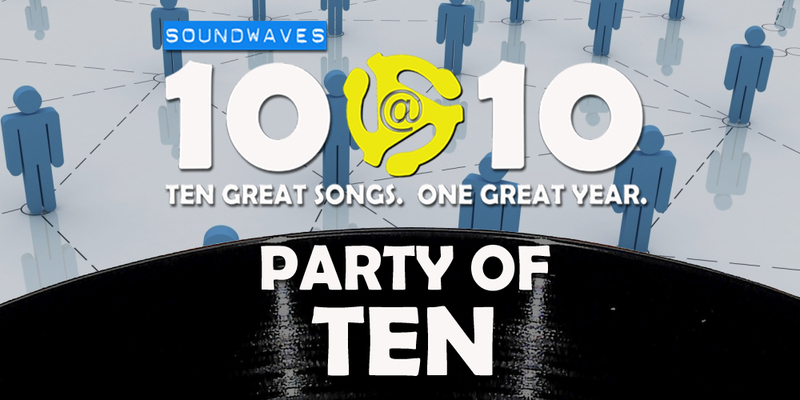 It’s … Party of Ten! I swear . . . it took me to the 7th track to figure out what was going on . . . I love how each track “passes the baton” to the next. More “relay” music please. This was one of my most favorite 10@10s yet!